DescriptionEver popular Haribo Jelly Beans. All our confectionery is of the highest quality and always has a long 'use by' date. Full health and safety guide lines are adhered to when handling all our confectionery. NOTE: These items may have traces of nut content. 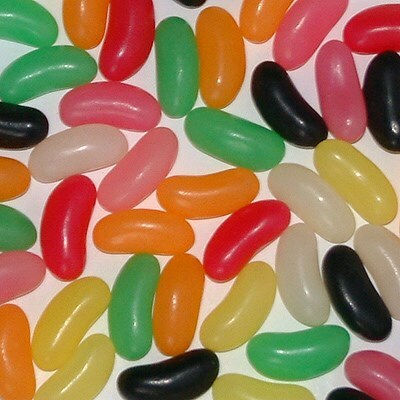 Ever popular Haribo Jelly Beans. All our confectionery is of the highest quality and always has a long 'use by' date. Full health and safety guide lines are adhered to when handling all our confectionery. NOTE: These items may have traces of nut content.